Health Point Physiotherapy is excited to announce our Open Day which will be held on Sunday 19 May from 12-2pm at 619 Hawthorn Rd, Brighton East 3187. We will be running live demos of a large range of our services; we will also have exhibitors from some of the local businesses in the health industry. There will be amazing door prizes and special offers which can only be claimed on the day, allowing you to save up to $200. Healthy refreshments will be provided. Information on our amazing mineral baths (balneotherapy) and SCENAR blanket. 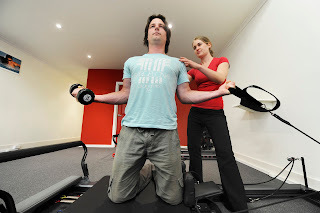 Find our more about our services on www.healthpointphysiotherapy.com.au. RSVP by texting YES to 0402-206482 by 15 May to go in a draw to win a free Clinical Pilates session valued at $60.